Who can you trust in the Internet world? 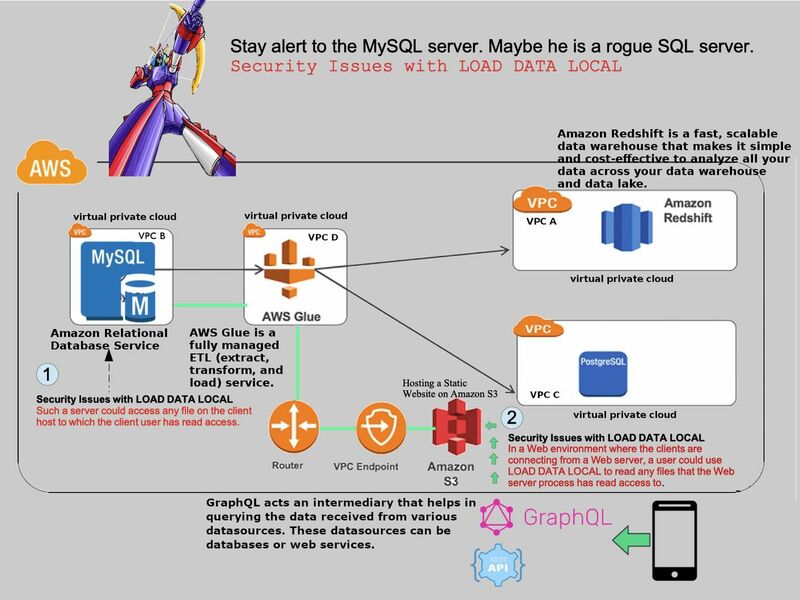 Security Issues with LOAD DATA LOCAL in MySQL DB. Background: Technology writer Ionut Ilascu alert that there is command in MySQL server could be use for steal the personal and web server data without a high level evasion technique. Such a server could access any file on the client host to which the client user has read access. In a Web environment where the clients are connecting from a Web server, a user could use LOAD DATA LOCAL to read any files that the Web server process has read access to.